1. To make pesto, bring a medium pot of salted water to boil over high heat. Add the broccoli rabe and cook until tender, about 5 minutes. Transfer the cooked broccoli rabe to a large bowl of ice water and let cool, about 3 minutes. Shake off the excess water and transfer to a food processor. Add the garlic, walnuts, honey, salt, and pepper and process until very smooth. 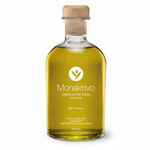 With the machine running, gradually pour in the extra-virgin olive oil. Transfer the pesto to a small bowl and stir in the Parmesan. Cover and set aside. 2. To poach the fish, combine the olive oil and vegetable oil in a Dutch oven or large, deep saucepan big enough to hold the fish in a single layer. Using a deep-fry thermometer, heat the oil to 200°F over medium-low heat. Reduce the heat to low to sustain the 200°F temperature. Season the fish with salt and pepper. Gently place the fish in the oil, making sure it is submerged. Poach the fish until just cooked through, 6 to 7 minutes. 3. Place about ½ cup of broccoli rabe pesto on each serving plate and gently smooth it out to make a bed for the fish. 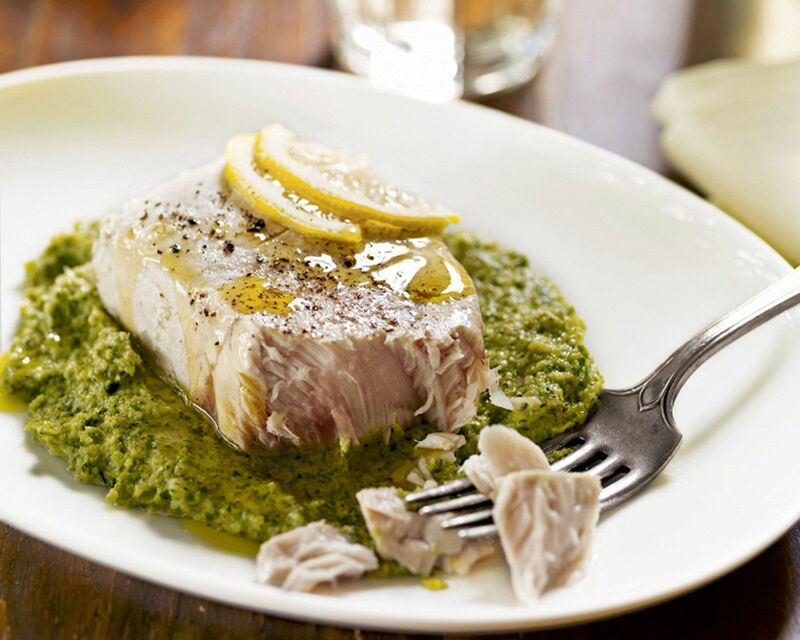 Using a slotted fish spatula, gently transfer the cooked fish from the poaching oil to the serving plate, placing the fish on top of the bed of pesto. Serve immediately.